Cremation services for Neil Dimmitt, 78 of Muldrow, OK will be under the direction of Agent Mallory Martin Funeral Service, Inc. 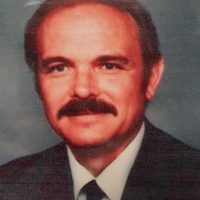 He was born on May 2, 1940 and passed away on March 29, 2019 in Muldrow, Oklahoma. He was married to Alys Henningson Dimmitt in 1985 in Antlers, OK. Mr. Dimmitt was a heavy equipment operator and long haul truck driver.